Charging and synchronization cables may not be the sexiest products that exist within the tech ecosystem but they are definitely up there by definition of “must haves.” In short, we all have multiple devices and we all need them charged and synced, which means that when a deal like this arises to save money on multiple USB-C cables then it is worth grabbing with both hands. 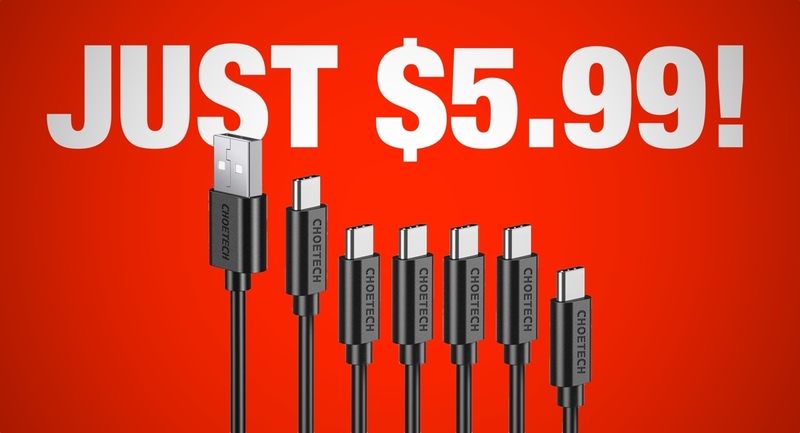 As part of an ongoing partnership with Choetech, we are pleased to yet again introduce another money-saving deal that involves being able to instantly save and welcome 6 brand new USB-C to USB-A cables into your life. The cables support a maximum of 2.4A fast charging and promote the speed of data transfer over USB up to 480 Mbps. The cables are also protected internally where necessary. Choetech has also ensured that these cables are built with reliability and longevity in mind so that you don’t get a few months of use out of them and then have to replace them due to failure. The pack of six is to ensure that you can interact with multiple devices at any given time, not to replace one when it breaks. In the pack, you will receive cables of multiple lengths to ensure that you have something for all situations and all device types. You’re also going to get compatibility with multiple devices, such as Galaxy S9, Note 9, Note 8, Nokia 8, Galaxy S8, and even Nintendo Switch and MacBook models. Some devices won’t offer rapid charge with this type of cable but for this price, this is as good as you are likely to get. 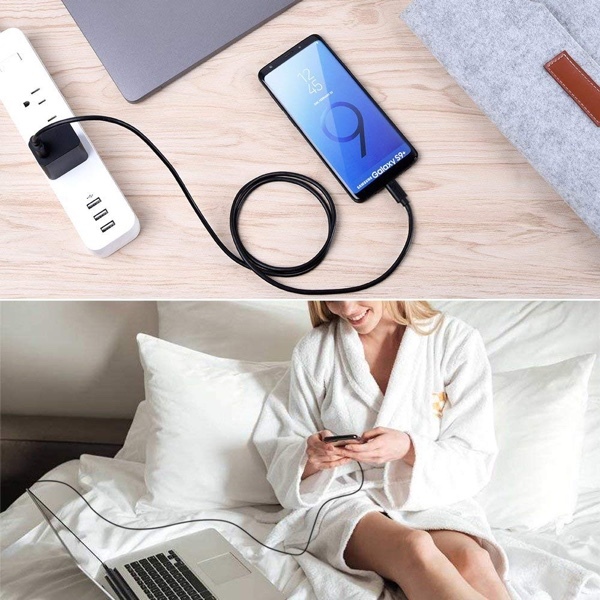 If you are ready to make the purchase and catapult yourself into a situation where you own more charging cords and cables than you can possibly use at any given time, then you will find all of the details below. Follow the direct link to the product page on Amazon and make sure to pay particular attention to the provided discount code (WXAS5R7N) as this is what is going to get you all of that juicy discount. Additionally, make sure to act promptly as this deal could be revoked in the coming days meaning that you will have to pay the full price of $15.99.